The Big Takeover Loves The Sharp Things! Jack Rabid, founder, editor and publisher of The Big Takeover magazine for more than 30 years, has been a stalwart supporter of The Sharp Things since our first album, Here Comes The Sharp Things, was reviewed in Big Takeover #52, back in 2003. More recently, the first two albums in the Dogs Of Bushwick series made it into Jack’s coveted Top 40 reviews section. This week, as Big Takeover #75 went to press, we learned that Jack has not only reviewed Adventurer’s Inn — album number three on the Dogs series‚ but also our September 11th show at Mercury Lounge. Somebody deserves a steak dinner! The text of the two reviews follows. 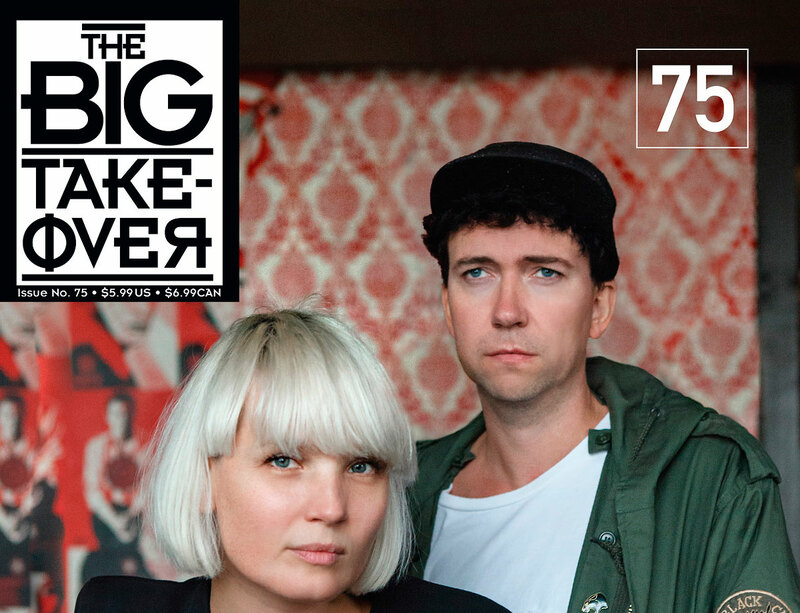 Please consider subscribing to The Big Takeover — you’ll be glad you did. It would have been understandable if New York’s Sharp Things cancelled this gig. Their drummer from the start, Steven Gonzalez, one of singer/writer/keyboardist Perry Serpa’s oldest friends, had died that morning of cystic fibrosis, and you could see the anguish and mourning on all their faces before they even trudged onto the Merc’s little stage—seemingly smaller with so many Sharp Things crowding onto it. But having prepared a substitute drummer (since Gonzalez had been ill), they decided to play in tribute to their fallen beat-keeper, and the heavy extra emotion was profound on an already moving, multi-instrumental orchestral-pop masterpiece like “An Ocean Part Deux.” As Serpa wailed “an ocean makes no difference,” in defiance of the metaphysical as well as geographic, the band surged its complex parts to match him, and Gonzalez’s memory was properly marked; much as every September 11, we remember all New Yorkers who left us too soon.